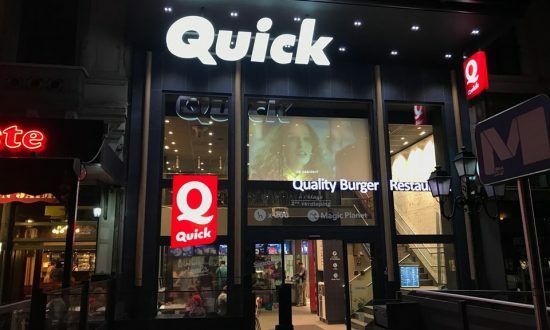 Glimm and Quick Burger has chosen a new digital signage on glass with the high contrast projection film of Glimm for daylight. Glimm has a special film for ambient light that makes it possible to project with short throw projectors and with lower ansi lumen projectors. This will save up to 50% percent of the total costs of the solution. This is a very economical solution what will fit in many budgets of marketing companies.